Ever since I was a little girl, the arts have been my passion. I was always sketching, designing, and exploring new creative media—so it was no surprise that I ended up walking into my university’s art department! 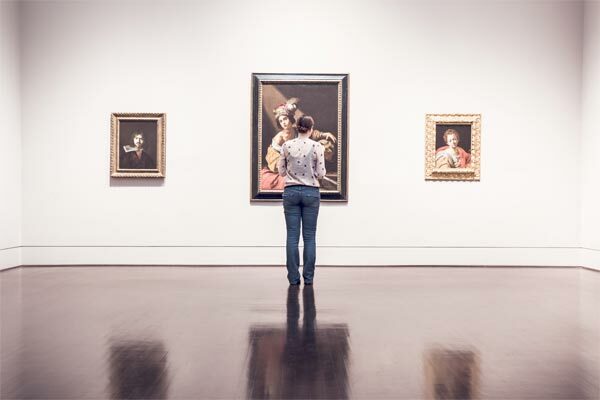 If this sounds like you too, or if you’re interested in any facet of the arts, I’m here to help you pinpoint whether or not a major in the arts is the right choice for you. Just like with any major, it is important that you identify whether or not you could do it for your entire life—or at least the next 10 years. (It’s good to start small so it’s easier to visualize!) Ask yourself these questions: How long have you been practicing your art? Does working on your art bring you joy? Can you work on it for hours? If those answers are “yes,” studying in the arts could be a good fit for you! Once you know that art is your path, it’s time to identify what specific area of the medium is right for you. As a graphic design major, I’m most familiar with the visual arts department, but I’ve given you an overview of the “big three” departments: fine arts, music, and theater. P.S. all the links are to scholarships! Go get ’em! Most majors with a good art department have at least a fine arts major, which typically covers drawing, painting, and occasionally disciplines like ceramics and design. Typically, you can then complete a concentration in your area of choice, like painting or graphic design/digital arts major, which is more focused on computer arts, like company logos and the design you see in magazines. You can also find majors in art education, fashion design, film studies, and photography, among others. In music departments, there will usually be a general music major (at my university, it’s called comprehensive music). There may also be majors in music composition, music education, and potentially specific instruments or vocals. Theater departments will often have a standard theater major and perhaps a theater design major. You may also see musical theater or dance majors, among other options. Of course, a school focused on the arts or focused on a particular art will have more diverse major choices—picture everything from game design to music production. For more information on arts majors and their potential jobs, check out CollegeXpress’ overview for visual arts here. Lots of advice for performing and visual arts majors here. And you can look through the College Board’s database of majors here. I would recommend that you don’t go it alone on this question. Ask a few people you trust to give you an honest answer, like a teacher or friend. They’ll be able to guide you towards your skill set and, therefore, your major! What are your potential career choices? Now that you have a foundation for your major, it’s time to look toward the future. What kinds of careers might you have, given your major and the skills and experiences it will offer you? Would they provide a reasonable income for you, and are there job openings in those markets? Do some Googling and see what you can find! CollegeXpress (“What Can I Do With This Major?”) and the College Board are also excellent resources for potential careers that you can look into, but sometimes individual universities will also provide examples. As for me, I discovered that a fine arts majors tend to lead to careers that wouldn’t be a good fit for me—and that my skills really lay in graphic design and marketing. This is another time when you will want to talk to trusted people. Now, however, you’ll want to look for people who are familiar with the world you’ll be entering, whether that’s music composition or game design. Connect with a teacher, or see if a local professional would be willing to meet you for coffee. Personally, I chatted with professionals in the arts and design industries to hear about potential jobs, salaries, and other tidbits. Their advice was amazing in helping me know if graphic design was the right industry for me! Finally, if you don’t know what is right for you yet, that’s okay. I was blessed to know my major when I started college, but that isn’t always the case: I know people who are undecided, and others are working in a general major and will pick a concentration or a minor later on down the road. My top piece of advice is that you don’t rush into your major selection. Explore your options, get lots of advice, and make sure it’s where you really should be. However, if an arts major does turn out right for you, all I can say is—welcome to the family!